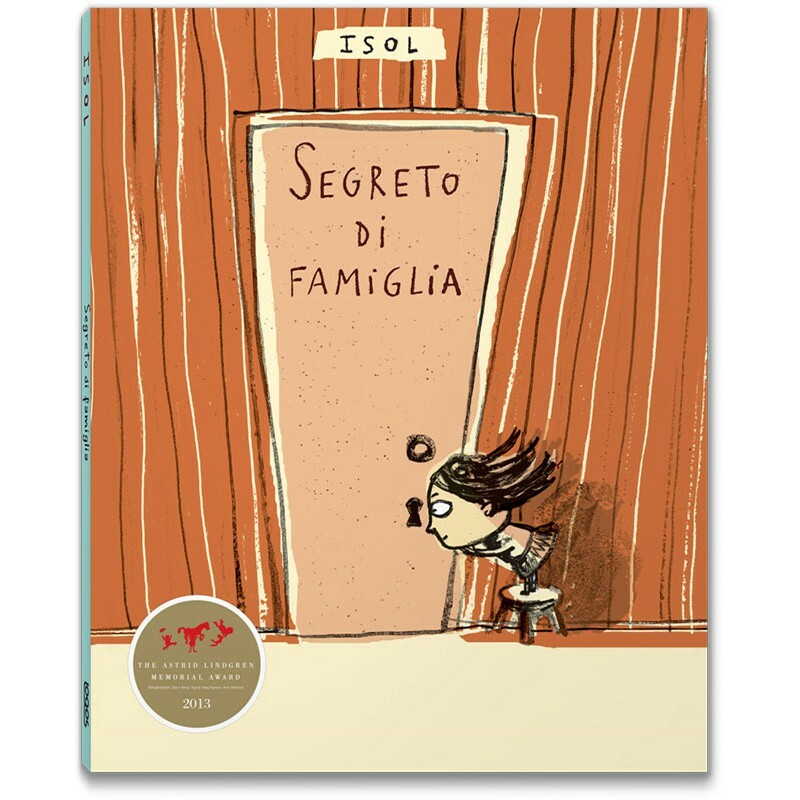 Segreto di famiglia is the story of an ordinary family, one like any other family. Or rather: it’s the story of a girl who thought she had an ordinary family. 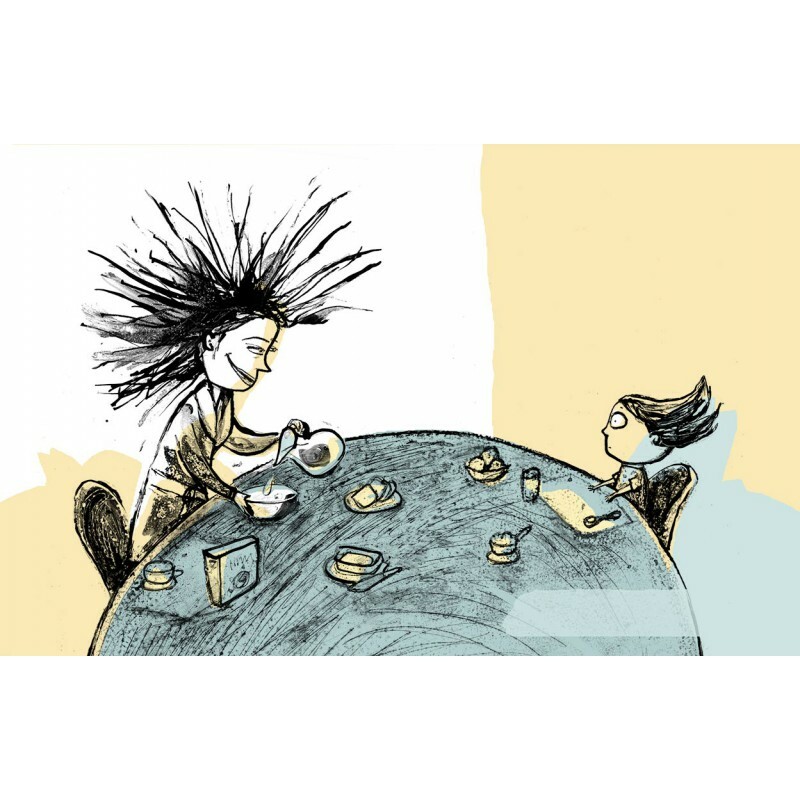 But one day she gets up earlier than usual and she discovers the horrible secret her mother has accurately kept up to that moment. A secret that makes her family different from all other families. Or maybe not…? What will her father and her brother say when they discover it as well? How can she keep on behaving as usual now that she knows about it? And how can she face other people, in particular her friend Elisa – a tidy girl who collects coloured pebbles and doesn’t have this kind of problems…? 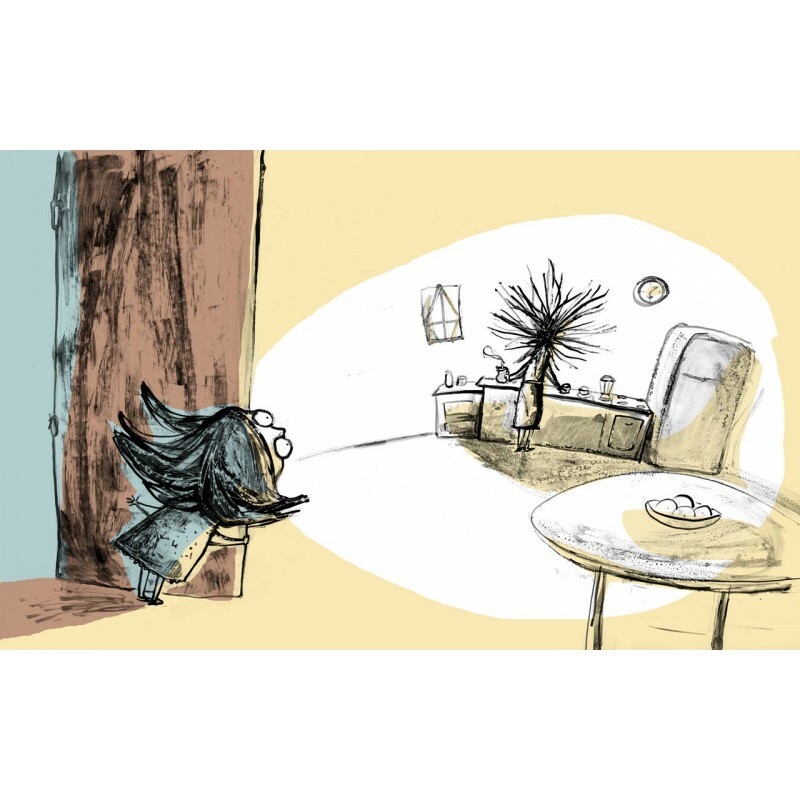 Humour, anxiety and tenderness blend in the voice of this curious and irreverent girl. She looks at the adult world from an unusual angle, and ends up questioning it and all its rules and odd norms. 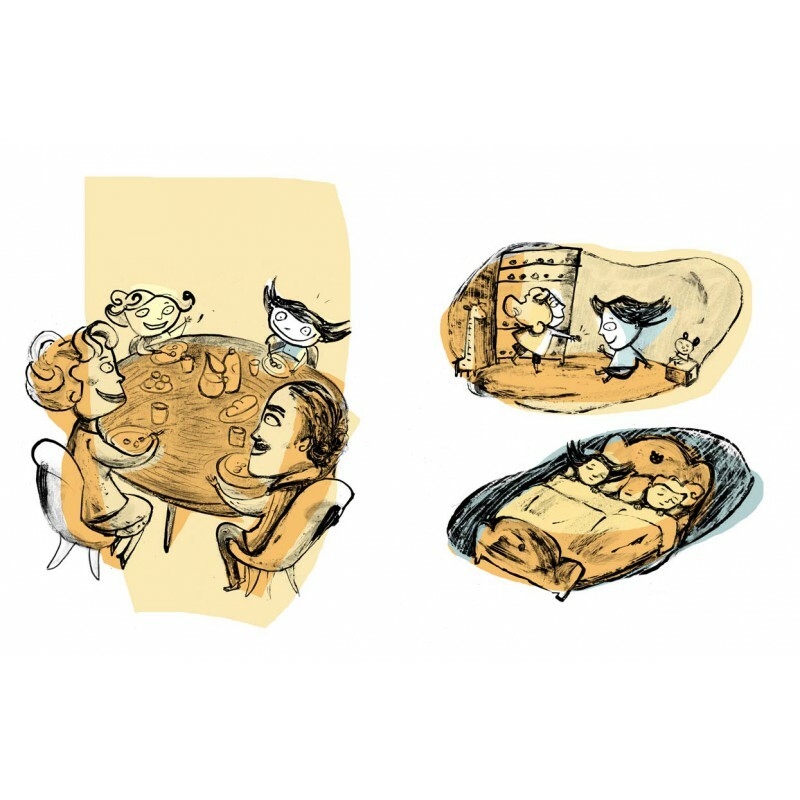 This story, however, wouldn’t be so brilliant and funny without Isol’s illustrations – an author who has always conceived text and images jointly, as if they were one single thing. 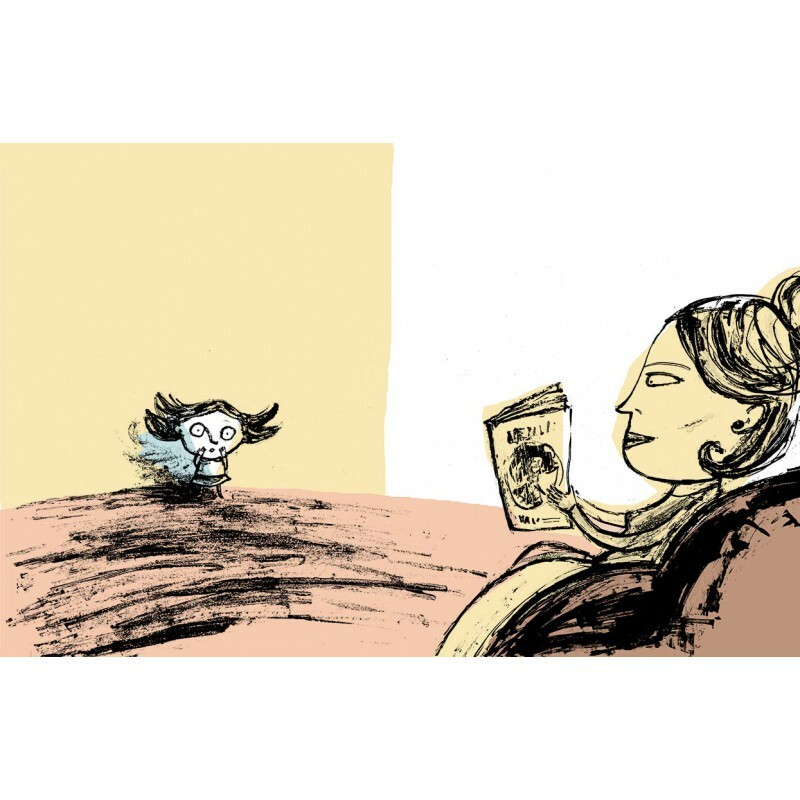 Made of black strokes and big patches of colours (in the shades of pink, yellow and light blue) overlaying the edges to mimic the way children draw, the illustrations are a sort of an ironic counterpart, complementing the girl’s tale, partially astounded and partially terrified. 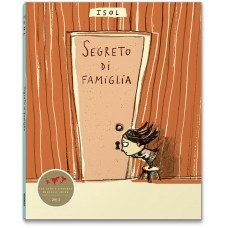 Isol was born in Argentina. Besides illustrating, writing and designing her books, she’s also a poet, comic-strip writer and singer. She has published 23 books, translated into 17 languages. Her stories are a constant dialogue between text and images: with humor and empathy towards her characters she always casts a curious eye on our everyday life. She loves to experiment with book design and concept, her aesthetics drawing on graphic design, engravings and comics. As an illustrator, in 2003 she was awarded the Golden Apple at the Biennale of illustrations in Bratislava; the concept and illustrations of her È utile avere una paperella have been awarded by the American Institute of Graphic Arts and the Consejo de Diseñadores de México. Twice a finalist for the Hans Christian Andersen Prize (2006, 2007), she is considered one of the best illustrators in the world. In 2013 she won the Astrid Lindgren Award. Her books for #logosedizioni are: È utile avere una paperella, Cose che capitano, Il palloncino, La bella Griselda, Notturno. Ricettario dei sogni, Scambio culturale, Segreto di famiglia, Sorpresa!, Vita da cani, Nino.